Purchasing a home is one of the most important financial investments you will make in your lifetime. Not only is a home a place to raise a family and create everlasting memories, your house can also be the most profitable investment you make in your lifetime. It’s never too late to take your first step into the real estate market and for those who already own their home, a second mortgage can be a great way to free up your equity. King Lending Capital agents deal with the banks directly and take care of all the fine details for you, passing along the lowest refinance rate possible. Call today and experience what working with a leading mortgage broker feels like. Do you have an expiring loan? Do you want to ensure you get the lowest interest rate when renewing your mortgage? Did you know that in most cases the interest rate of mortgage renewal is higher than market price? When a mortgage is due, borrowers are often asked to sign renewal agreements. However, many people lack understanding when it comes to financing and complicated renewal agreements. While the convenience of the renewal process might appear attractive, we suggest that people study other mortgage plans in the market and compare interest rates. One call to King Lending Capital could save you thousands of dollars on a renewal. King Lending Capital has access to lending products from many banks and financial institutions. We’ve established great relationships with private investors and firms, giving you access to powerful financial resources and networks. As masters of the mortgage industry and the financial market, we are sure to find lending products with the lowest rates. Contact King Lending Capital today and save your precious time and energy from researching and comparing products and services on the market. King Lending Capital provides the best re-evaluations on the market for those in need of a mortgage renewal. With the significant appreciation of housing prices in the past few years, many of our good-credit clients decide to unlock the value of their homes by refinancing their mortgage for a variety of purposes, including: Asset enhancement, Debt consolidation – such as credit card, car loan and/or line of credit – combining first and second mortgages or renovations. Take the pressure off and give yourself a break or maybe make the upgrades to your home you’ve been dreaming of. King Lending Capital can help you get back to enjoying your life. King Lending Capital works with local large-scale and small-scale banks. We provide unique discounted interest rates, evaluate your credit in a fair and reasonable way while looking for lowest interest rates available on the market. According to popular research, every Canadian holds two or more loans on average – such as housing, personal, student, or credit cards. If you manage these loans separately, these small items could become bothersome and tiring to manage. Also, different interests across all these channels could possibly increase your debt load. Luckily, King Lending Capital provides debt consolidation services – we manage our customers’ loans and fees wisely and incorporate them into one manageable package, decreasing your interest rates and monthly payments. King Lending Capital offers fast and flexible personal mortgage services. We help those with low credit and down payments, we’ll get you approved fast and make sure you get your money on time. Many financial institutions working with banks purposely list conservative mortgage requirements. They ask for your credit, income and first payment so they can get you to apply for a loan with no intention of providing you with the loan. In other words, they are shutting out the ones who cannot fulfill the qualifications now but have the ability to pay back in the future. Personal loans act as the by-product of this phenomenon, and fill the needs of borrowers in this market. Personal loans are often short-term mortgages with interest payments – from one to two years. This kind of mortgage doesn’t require high down payments from the applicants for the mortgage. At the same time it requires lower credit score approval, but the applicant need to pay the monthly interests on-time. Why to choose a private loan? You are looking for faster capital checks and loan. Your credits are low or you don’t have credits, to get loans from the bank. You only need one short-term loan. You don’t have stable income, and cannot get mortgage from traditional financial institutions. You don’t have enough down payments for the mortgage, and cannot get mortgage from traditional financial institutions. Commercial loans serve the interests of investors who want to purchase commercial properties. It is a special loan that asks commercial properties as a guarantee. Often companies or enterprises apply for this kind of mortgage. The applicants can be a joint ventures, a limited company, or an organization. Because of the complexity in business, financial institutions usually ask for more credit records from the applicant. Also due to the higher risks of the business loan, it also asks for higher interest rates. 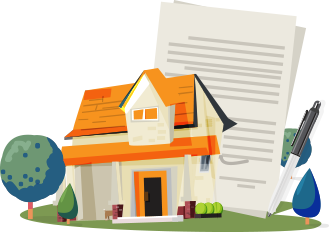 King Lending Capital provides professional and flexible mortgage plans for the organizations which need commercial loans. We offer competitive interest on fixed and floating rates for our clients. We save you time and energy by consulting with multiple banks while making sure there are no errors on your commercial loans; and we protect your business interests.